In many serious discussions about Down syndrome, abortion is the ghost in the room. Teaching medical professionals to give accurate and appropriate information when announcing prenatal diagnoses, state funding for early interventions, state funding for K-12 education, federal funding for research, even health care costs — these issues either directly or indirectly relate to the abortions of fetuses with Down syndrome (DS). I was in my 40s when pregnant with my last two children and knew I had an increased risk of having a baby with Down syndrome. However, I allowed only non-invasive testing because I would not have terminated a pregnancy due to a diagnosis of DS. With both pregnancies, I was told there were no concerns based on the results of blood work and high-level ultrasounds. 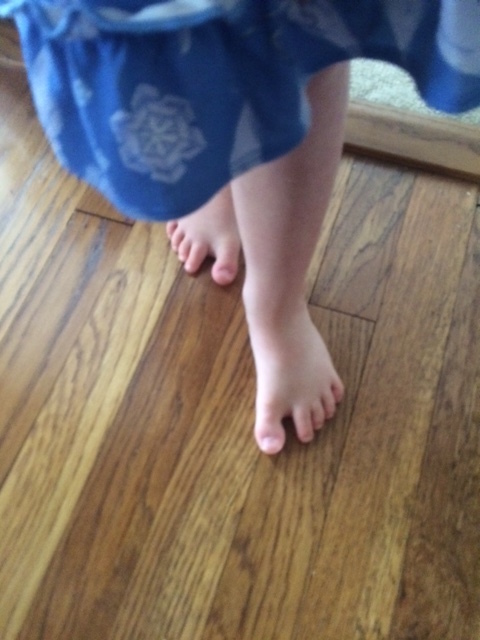 At the birth of my last child and only daughter, Lyra, we immediately recognized two markers of Down syndrome, the shape of her eyes and her sandal toes (each big toe is located far from the four smaller toes, as if designed for flip-flops). Later that week, genetic testing confirmed the diagnosis. We quickly learned that what we thought we knew about Down syndrome was little and mostly incorrect. As a writer, I process difficult issues and emotions by writing. Three months after Lyra’s birth, I began blogging at Whoopsiepiggle.com, documenting my development as a mother of a child with DS. Our love for Lyra was immediate and fierce. Max and I felt like we were taking a crash course on DS. We worked to give her the best start possible, including regular speech, physical and occupational therapies. But our first years as parents of a child with DS were also filled with enormous fear. 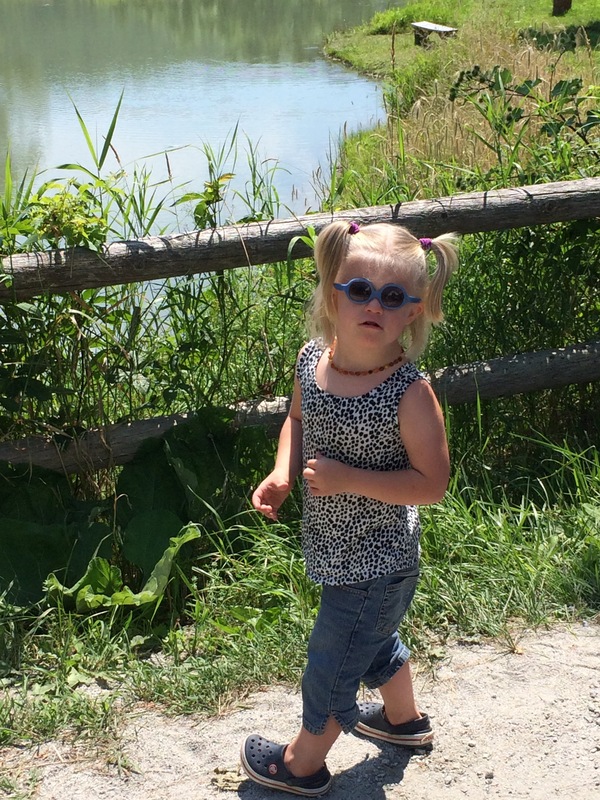 On top of that, I was overwhelmed parenting three teens and two tots, regardless of Lyra’s diagnosis. Soon, we understood that there has never been a better time to be born with DS. In a column on May 6, 2017, “Busting myths on life with Down syndrome” (http://bit.ly/2E9onV4), I outline how people born with DS today can expect to lead lives more alike than different from their typical peers. Knowing what I do now, I would encourage any woman who receives a prenatal diagnosis of DS to learn the current facts and strongly consider continuing her pregnancy, even if she feels she would give the child up for adoption (the waiting list to adopt a baby with DS is longer than that to adopt a typical baby). I speak each fall to first-year medical students at Case Western Reserve University. I encourage them to guard against bias when interacting with patients who have disabilities and their parents. And yet, this past fall, I told the students that I and many, though not all, parents of a child with DS oppose the state bill outlawing the abortion of a fetus prenatally diagnosed with Down syndrome. Nobody likes abortion, not even abortion rights advocates. But, legal or not, abortion has been around as long as pregnancy. The solution to lowering abortion rates is to find out why women have them and address those issues. I learned at the National Down Syndrome Congress convention in 2014 that the termination rate of fetuses diagnosed with DS is higher in Southern states, where elected officials are overwhelmingly Republican and abortions harder to obtain, than in cities in the North. The reason given is simple — services and supports for children with disabilities are limited in many parts of the South. In recent years, Denmark and Iceland have adopted policies to entirely eliminate people with DS from their populations. All women receive free prenatal testing in these two countries and are encouraged to terminate when a fetus is discovered to have DS. Most do, but not all. I know a woman raising a child with Down syndrome in Denmark. Because there are so few children with DS in that country, supports are commensurately limited. And this, I suspect, contributes to many other women choosing not to carry a fetus with Down syndrome to term. Ethicists around the globe have called for women to terminate pregnancies of children with DS. Richard Dawkins, a Brit, claims doing so reduces suffering. This flies in the face of all research conducted on people with DS and their families. Australian ethicist Peter Singer, much of whose work I find enlightened and inspiring, believes fetuses with DS should be aborted because they increase the cost of health care for the rest of a country’s citizens. Determining the value of a human life based purely on cost is a slippery slope. What happens when one day we can prenatally test for schizophrenia, bipolar disorder, autism or addiction? In the United States, funding for DS research overwhelmingly favors further development of prenatal testing over the development of drugs to improve health and cognition. The primary point of prenatally diagnosing a fetus with DS is to allow for the option of termination. Thus, federal research dollars effectively promote elimination over amelioration. I know a family who moved back to Northeast Ohio shortly after giving birth to a son with DS. The region where they were living in Michigan had little access to the medical care and educational programming important for a child with DS. I know a family that moved from Akron to Bath because they felt their child with DS would receive a better education, with more supportive services, in Revere schools than in Akron Public Schools. In Ohio, the state provides services to children with DS through the county developmental disability (DD) boards for the first three years of life. Then, from age 4 to 22, state services are administered through the public schools. Our statehouse is controlled by the Republican Party and has been for many years. The same legislators who voted to outlaw abortion of fetuses with DS also voted this past year to remove language that would have increased funding to county DD boards. The federal Individuals with Disabilities Education Act guarantees as a right for children with disabilities, including DS, a free, appropriate public education. And yet everyone knows all Ohio school districts are not created equal. Some families, like the one I mentioned, move to districts with better resources. But for many that is not an option. Furthermore, just because a child is guaranteed an education doesn’t mean schools comply, and parents regularly sue school districts for enforcement. Here in Ohio that happens in the Sixth Circuit of the U.S. Court of Appeals. The Sixth Circuit has a mixed record with disability rights. A recent decision stated a school could not be penalized for strapping a preschool child with disabilities to a toilet with a leather belt because it was part of the school’s pedagogy. Think about that. Ultimately, I believe underlying the move to eliminate people with Down syndrome is a bias against people perceived to have lower intelligence. Therefore, this is for me an issue of civil rights. Which is why it’s important to point out that the law outlawing the abortion of fetuses with DS has little, if anything, to do with protecting people with DS. If our state legislators truly cared about this population, they’d put our money where their mouths are. They’d adequately fund county DD boards, including everything from early interventions for babies to job training and housing with qualified, well-paid staff for adults. All of Ohio’s public schools would receive the funding to provide equitable education for all students, including those with developmental or intellectual disabilities. Today, Ohio women wanting to terminate a pregnancy in which the fetus has been diagnosed with DS will need to travel to a state where it is legal. And those who do not or cannot will find themselves in a state that inadequately addresses the needs of their children. This entry was posted in Uncategorized and tagged Down syndrome abortion ban, Down syndrome ban in Denmark, Down syndrome ban in Iceland, federal funding for Down syndrome research, reducing termination rates of fetuses with Down syndrome, state funding for Down syndrome, support for people with Down syndrome. Bookmark the permalink. Well said. Governments use abortion as a political pressure more so than a humanitarian support. And from that alone one can see that there’s a disservice. We have to read between the lines. The pressure to abort or not abort is discriminant and cruel to the population that is forced aware to the fact that they are a controlled one way or another. Women, we know this tactic too well. It’s inhumane. Know your population and serve it. Let people be autonomous with their parenting decisions. Also investing in your young with extra supports and equitable education serves a whole generation with competence rather than with the burden of dependance. It’s the best form of ROI.